« Q: Iz Tom Friedman Learning? Because we are a full service blog, and more, because we are a generous and giving community, it seems only fitting to offer our cyborg brother W. M. Romney some useful counsel on his travels abroad. First things first: the statistical probability is that any given member of the public you meet while in Britain will be British. This should make things considerably easier when it comes to your penchant for guessing randomly, and frequently wrongly, the nationalities of people you encounter. (“His favourite guess for nationality is French-Canadian.”) At the Olympic Games opening ceremony, by contrast, you’re likely to encounter many more non-British people. Small-talk topics to avoid with them include: a) whether or not they share an Anglo-Saxon heritage; and b) claiming to be familiar with the culture of their small island nation because you have several hundred million dollars in a bank account there. There’s more at the link. Enjoy. Oh — and I suppose this qualifies for what all you perhaps insufficiently Anglo-Saxon types would call an open thread. 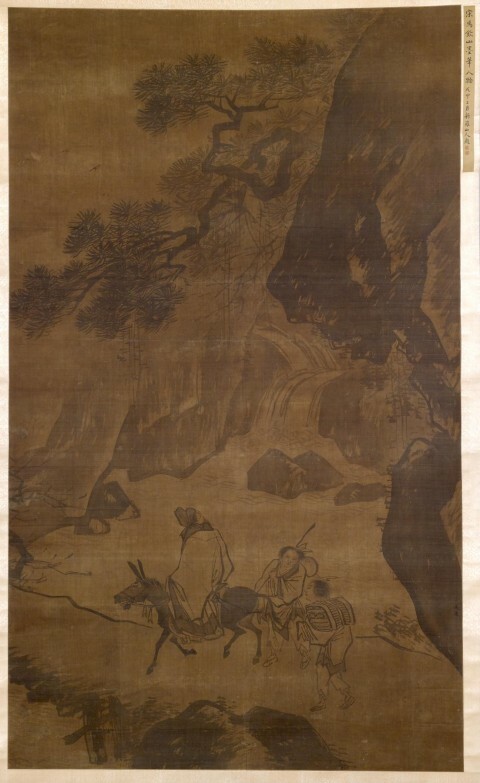 Image: Zhang Lu, A Traveler Contemplates a Waterfall, between 1500 and 1525. This entry was posted on July 25, 2012 at 4:47 pm and is filed under ridicule, Romney, Snark. You can subscribe via RSS 2.0 feed to this post's comments.